This fall, Apple is planning a major update to its iPhone lineup. 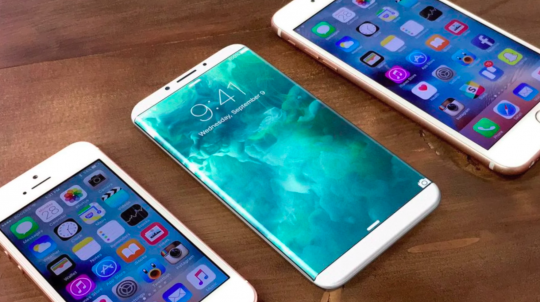 In addition to an iPhone 7s and 7s Plus, the company is planning a major, completely redesigned product which we will refer to as the iPhone 8. The new device comes on the heels of the 10th anniversary of the iPhone, which has now become the most successful product in history. While the device will be announced at the companies traditional September event, a release immediately after appears unlikely. 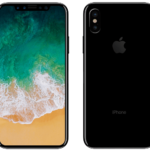 Due to the advanced new technologies in the device, Apple is likely to delay the release of iPhone 8 by at least a month, and availability will still be scarce at launch. Below is a list of everything we know so far, both new and old, as well as what we can learn from the recently released iOS 11 Betas. 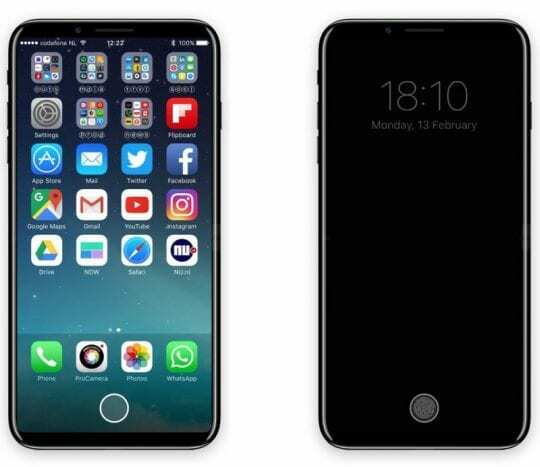 The iPhone 8 will feature an all-new design. 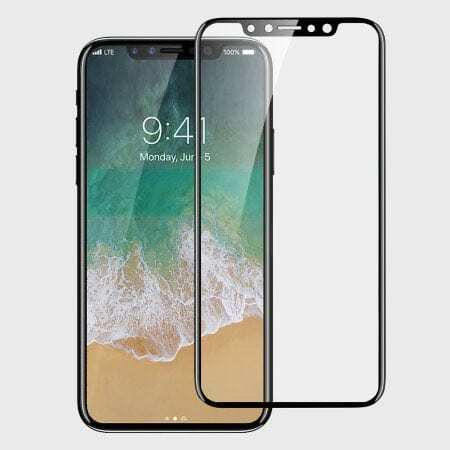 The front of the device will feature a traditional Gorilla Glass panel. The back of the device will also feature a glass panel, reverting from the Aluminum iPhone 5, 6, and seven lines. Surrounding the device will be a stainless steel band. As the device features a glass back, it is unlikely the device will need antenna lines. On the front of the device will be a large 5.8-inch OLED display, .3-inches bigger than the iPhone Plus line. 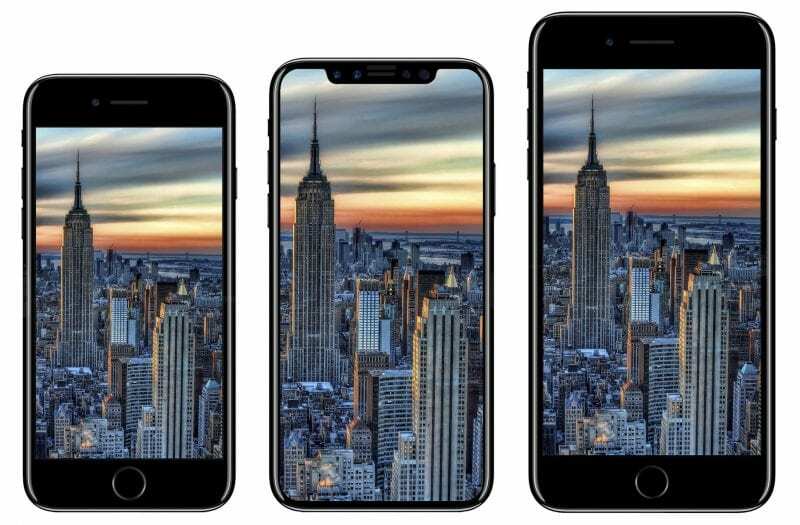 Despite the size, the new device will completely drop the bezels found on all previous iPhones, resulting in a footprint just about the scale of a non-plus, 4.7-inch iPhone. 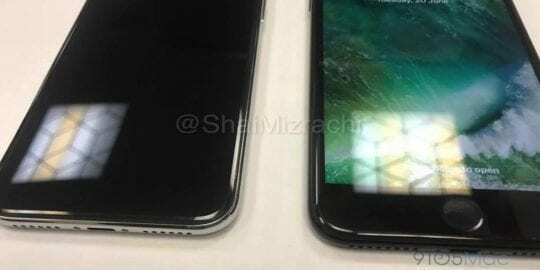 Due to the removal of the bezels, iPhone 8 will require a new method of the home button and Touch ID. With iPhone 7, Apple removed the standard home button found on all previous iPhones and replaced it with a solid state piece of glass. When the phone is powered on, the area feels like a button via vibrations and sounds. Apple implemented this in iPhone 7 in preparation for the 8, allowing them to field out issues and get users used to the change. With iPhone 8, in most instances, the user will have full control over 5.15-inches of display space, while the remainder will be used for a touch area at the bottom. This area will include a virtual (though realistic feeling) home button, as well as quick actions based on the task at hand. When the user is in a situation where full-screen space is needed, such as a game or movie, the full 5.8-inches will be used. While Apple initially had doubts about being able to integrate Touch ID into a display this generation, it seems they have succeeded. The iPhone 8 will feature an integrated touch sensor in the screen, which will activate in the home button area when needed. 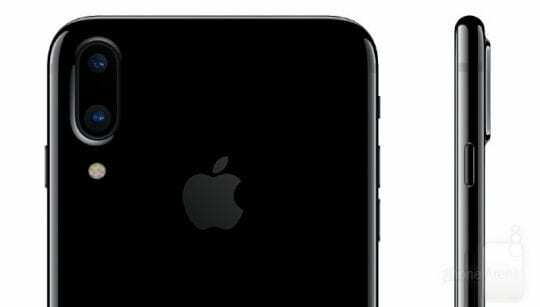 The iPhone 8 will feature a similar rear camera to the one introduced on the iPhone 7 Plus, including to take photos in ‘Portrait’ mode that feature a bokeh effect. The sensor itself is said to be vertical instead of horizontal, and both lenses will feature Optical Image Stabilization. 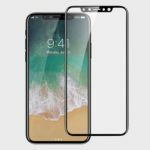 The front of iPhone 8 will feature a small lip integrated with the display, that will feature the speaker grill, as well as possibly three front facing cameras. The new cameras are said to deep depth tracking abilities and augmented reality potential. 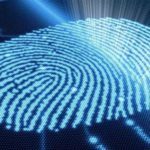 While the exact use case is unclear, the cameras would be able to perform facial recognition for security. The iPhone 8, as well as the other new iPhones, will feature inductive wireless charging for the first time. This means a user could purchase a pad or other device, and putting the phone on it would begin charging the device. 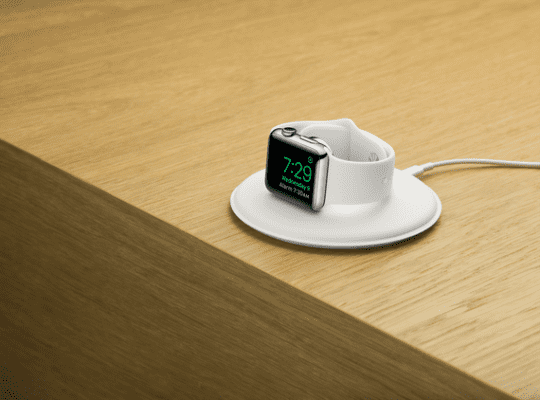 Apple is working on actual wireless charging internally. The feature would allow a user to charge their phone within a room, no strings attached. The function is said to be in early development and will not be included in iPhone 8.
iPhone 8 will feature an all-new A11 chip alongside the same 3GB of RAM found on iPhone 7 Plus. 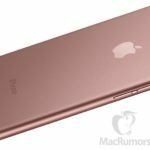 This will help drive all of the new features, including ProMotion, which Apple is said to be considering for the iPhone 8. The feature pushes the refresh rate on the screen to 120Hz, resulting in a magically fast experience you have to see to understand. First introduced alongside the iPad Pro 10.5-inch earlier this month, the feature intelligently figures out what refresh rate you need for certain tasks, saving power while providing an amazingly smooth experience. 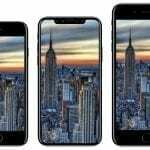 Multiple sources have claimed iPhone 8 will start at around $999 in the United States. While there is no indication otherwise, it is possible this is incorrect. Back when the original iPad was about or be launched, Steve Jobs had Apple purposely leak the price as $1000. Then, when he was announcing the price, shocked everyone by having it only cost $499. One way to get a hint of what Apple is working on is to look at iOS betas. 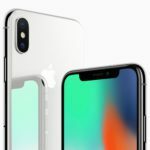 Because iOS releases coincide with iPhone launched, Apple sometimes changes things earlier in advanced, resulting in changes that may seem puzzling but once the device comes out make sense. One of these features may be the redesigned Control Center. While the new experience is beautiful on all iPhones, the new additions could raise some possibilities. You can now add some actions, including an Apple TV Remote. With iPhone 8, maybe you could have these actions attached to the touch bar area. Another feature which seems puzzling is the updated Notification Center, which doesn’t appear to add much besides an extra step to seeing all your notifications. It’s possible that with the new home button, swiping will become more prominent, and this addition will make it easier than the previous Notification Center. When in Siri, Siri now has a new circular icon. Some have speculated this will be the iPhone 8s home button. Overall, the iPhone 8 seems very exciting. While we may not see a lunch until the end of the year, an announcement in September seems locked in.